Ministry of Sports, Ministry of Tourism, Ministry of Education. 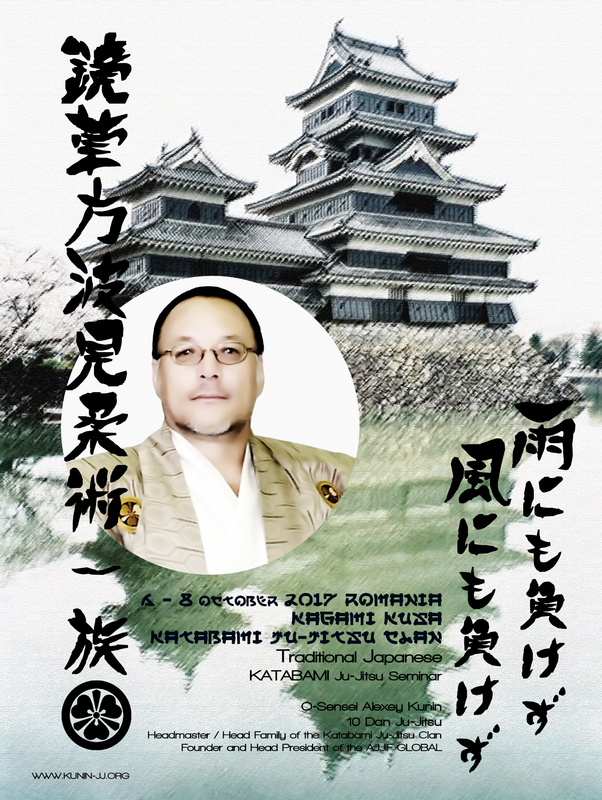 with O-Sensei Alexey Kunin 10 Dan Ju-Jitsu ( USA ), Founder - Head President of AJJIF GLOBAL, Headmaster - Head Family of Katabami Ju-Jitsu Clan. 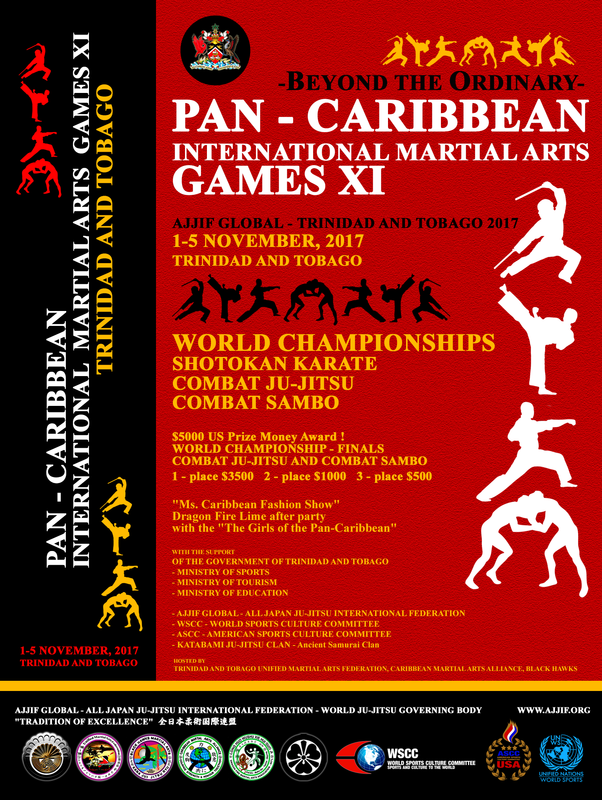 Soke Prof. Christopher Francis 10 Dan Ju-Jitsu ( Trinidad and Tobago ), AJJIF Representative in Trinidad and Tobago, AJJIF Director of the Caribbean Region. President of the Republic of Trinidad and Tobago His Excellency Anthony Carmona. 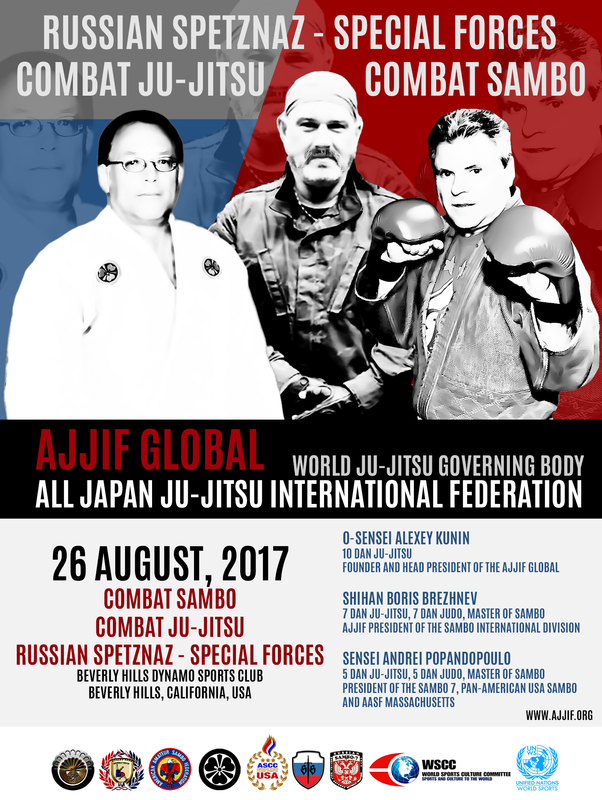 Gen. Dr. Boris Brezhnev 7 Dan Ju-Jitsu, 7 Dan Judo, Master of SAMBO ( Ukraine - USA ), AJJIF President of the International SAMBO Division. Master Andrei Popandopoulo ( Russia - USA ), 5 Dan Ju-Jitsu, 5 Dan Judo, Master of SAMBO, Master Instructor of "SPETZNAZ" Russian Special Forces. National and International TV and Full Press Coverage. ( 1st place $3500 US, 2nd place $1000 US, 3rd place $500 US ). Dragon Fire Lime after party with the "The Girls of the Pan-Caribbean". 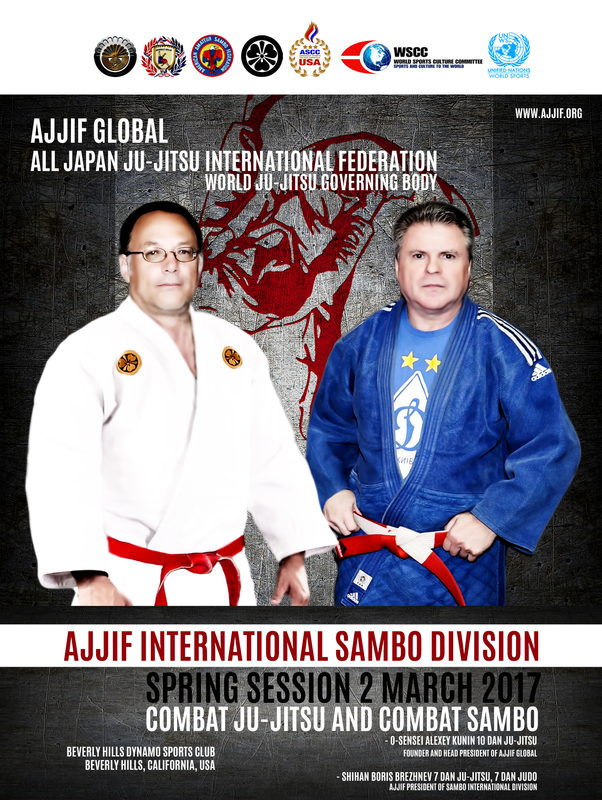 Soke Yury Smirnov 9 Dan Ju-Jitsu ( Russia ), AJJIF Member of the Board of Directors, Member of the Katabami Ju-Jitsu Clan. 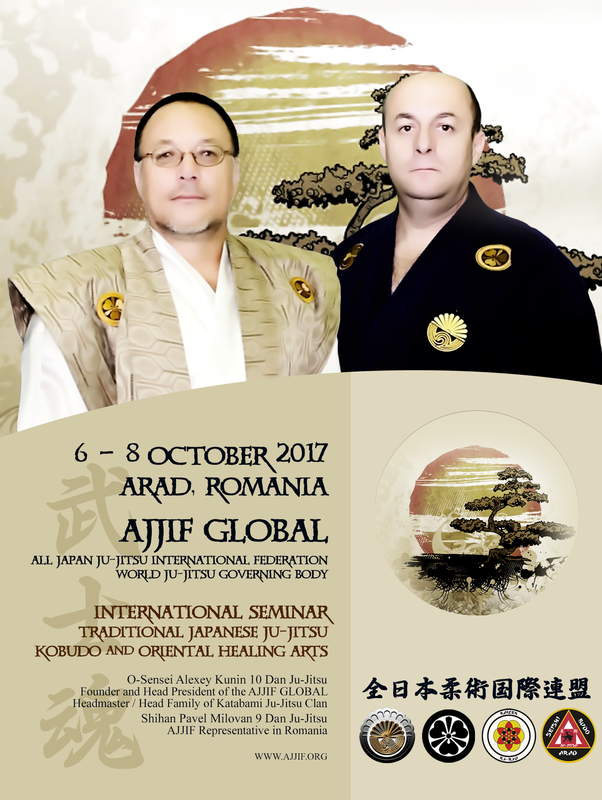 Hanshi Pavel Milovan 9 Dan Ju-Jitsu ( Romania ), AJJIF Representative in Romania, AJJIF Director in Europe, Member of the Katabami Ju-Jitsu Clan. Prime Minister, Minister of Defense, Chief of Police. 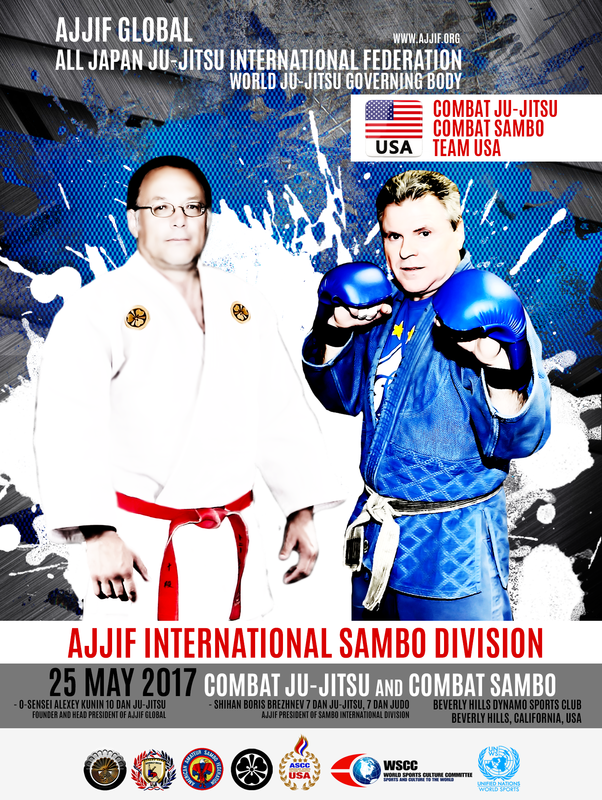 President of the SAMBO 7, Pan-American USA Sambo and AASF Massachusetts. 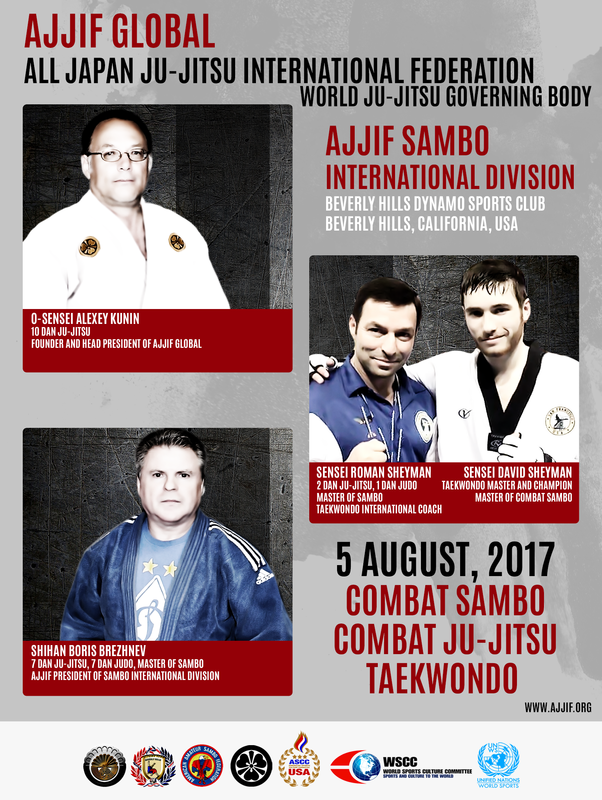 Shihan Boris Brezhnev 7 Dan Judo, 7 Dan Ju-Jitsu, Master of SAMBO, AJJIF President of SAMBO International Division.